Sakurai Wanted Geno To Be A Playable Character In Super Smash Bros. 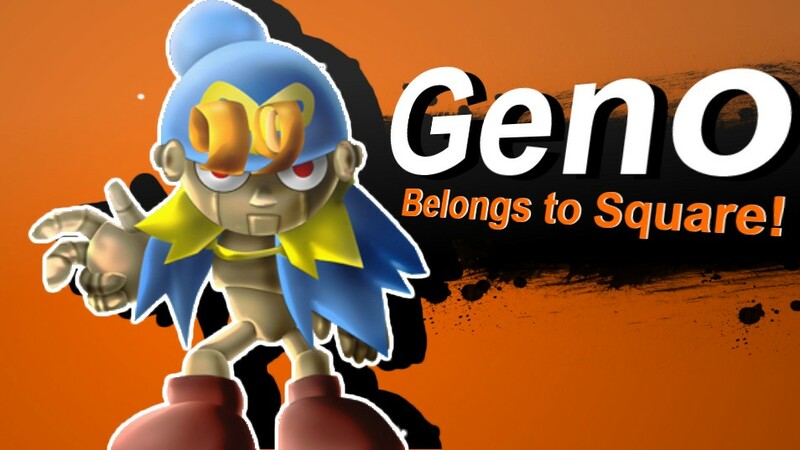 In an issue of Nintendo Dream released in April 2016, Super Smash Bros. creator Masahiro Sakurai admitted he wanted Geno to be a playable character in Super Smash Bros.
For those of you unfamiliar with Geno, he is one of the playable characters in Super Mario RPG: Legend of the Seven Stars and is very popular with Super Mario fans. Rights to Geno are currently owned by Square Enix, rather than Nintendo. During the development of Super Smash Bros. Brawl, Sakurai thought Geno would be a great fit in the game but unfortunately, it didn’t become a reality. Things may of course change in Super Smash Bros. Ultimate, so we’ll have to wait and see. —What led you to decide to make a Geno costume after all this time? Sakurai: To tell the truth, it’s because I wanted Geno to be a playable character. He has a gun for a hand, and I think he fits in really well with Smash. During Brawl, I thought it would be great if I could add him, but in the end it didn’t become a reality. —Because of that, you added him as a Mii Costume this time? Sakurai: That’s right. He’s very popular. When talking about older characters, Geno always gets a lot of requests. He didn’t appear as a fighter, but I was able to achieve something kind of close to that as a Mii Costume.